I’m not an audiophile by any means, but as I find myself spending more and more time in headphones (both listening to and recording podcasts), I thought it was time to upgrade to something beyond the mediocre earbuds that came with my iPhone. I had tried a number of different brands and styles — Sennheiser, Audio Technica, Sony, open back, closed back, on-ear and over-ear — but something about the KEF M500s caught my eye straight away. Again, not being an audiophile, I had no idea that KEF was a near-legendary British loudspeaker company, nor did I have any idea that the M500s were their first foray into building headphones. 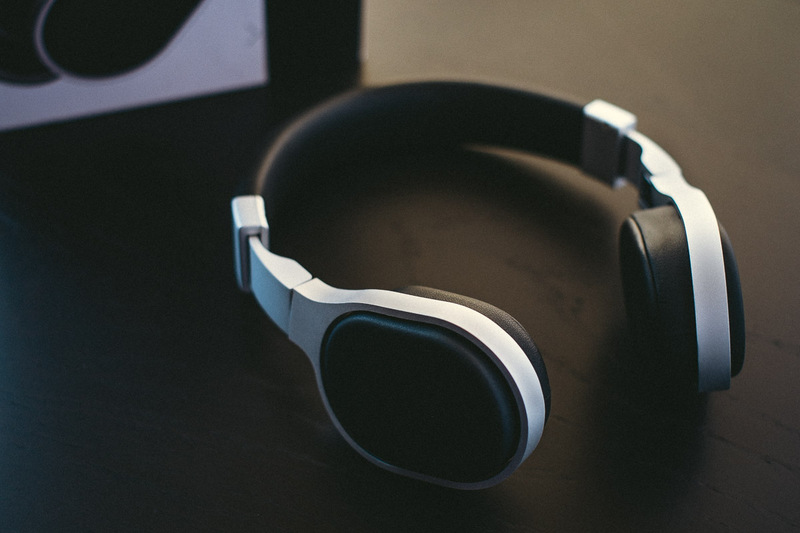 The design alone — clean lines of precisely machined aluminum with simple black faux leather accents — looked as if they had been making headphones for years. The price seemed fair, and after doing a bit of research and reading other reviews, I decided to order them. They arrived the following day — Amazon free one day shipping FTW — and before I had even opened the box, I knew I was going to love them. 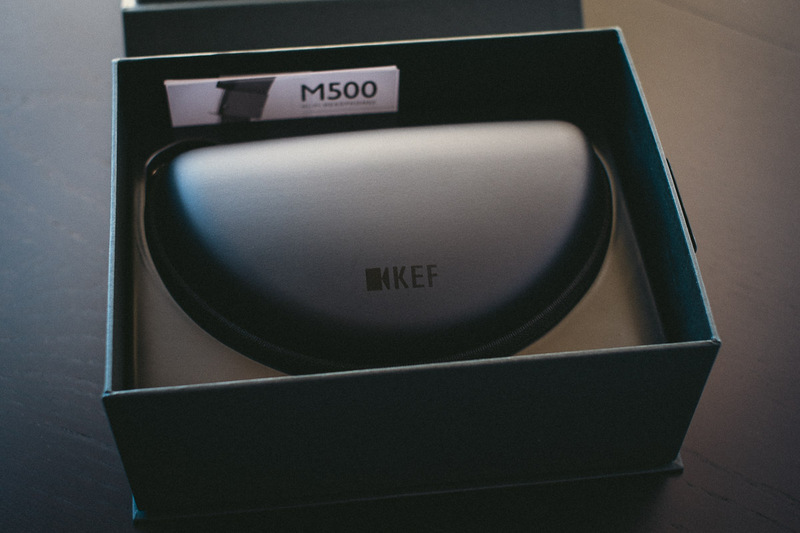 I am a big fan of clever, well-designed packaging and KEF absolutely nails it with the M500s. The outer slip cover is beautifully designed and features silver foil embossed KEF branding and a gorgeous hero shot on a front flap that is cleverly secured with magnets hidden between the inner and outer layers of the sleeve. The back side of the flap contains detailed specs, an exploded view of the unique driver assembly and a chart showing the M500’s impressive near-flat frequency response. The gatefold box containing the headphones is classic matte black, devoid of any detail, save for the glossy KEF logo at the bottom right corner. Pulling the small loop of black ribbon opens the box to reveal not the headphones themselves but rather a simple half-oval, matte black hard shell case, adorned only with the same glossy black logo found on the box. A note about details: The level of care and thought that KEF puts into the packaging even extends to the blow-molded plastic insert that holds the hard shell case. Rather than mold a simple symmetrical housing, an extra bit of space was carved out on one side to accommodate the zipper pull (which itself is clad in branded rubber, rather than simply left bare). It’s a small detail, and although I am speculating here, I think it speaks to how KEF approaches not only the design of the product, but also how they want the product to be experienced at every stage from the point of view of the customer. Bravo. Inside the zippered case, you’ll find the headphones themselves, two detachable 1.3m tangle-free flat cables – one with iOS play/pause and volume controls – an airline adapter and a 3.5mm to 6.3mm adapter. 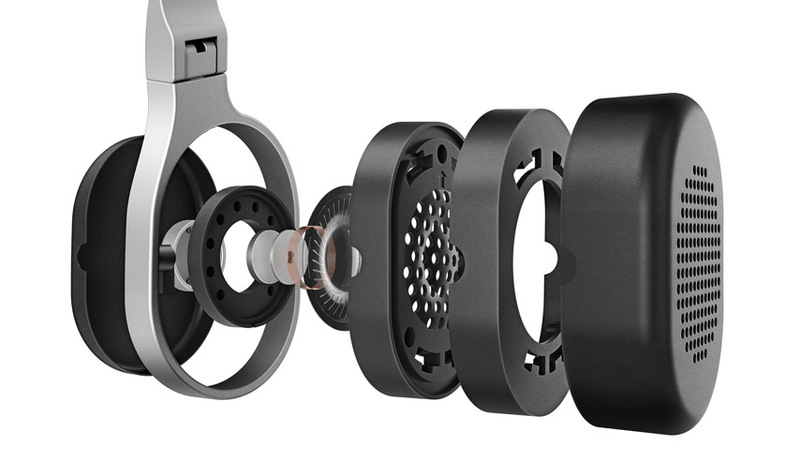 One of the unique features of the M500 – in addition to the machined aluminum frame – is what KEF calls their “multi-directional Smart Hinge,” which not only allows the ear cups to fold inward for transport, but also allows them to rotate 90° and lay flat. As I mentioned previously, I had tried a number of other on-ear and over-ear models but found the M500s to be some of the most comfortable headphones I’ve worn – certainly the most comfortable on-ear. Even though I wear glasses, the pivoting memory foam ear pads conform nicely, blocking out a surprising amount of ambient noise, while the clamping pressure is such that I have been able to wear them for several hours at a stretch without pressure or discomfort. By now you may be thinking, “Yeah, yeah…that’s all well and good, but how do they sound?” In a word: superb. 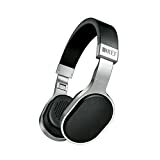 The M500s feature 40mm neodymium drivers tuned to deliver response from 20Hz to 20kHz. Again, I’m no audiophile but in my initial evaluations, every genre of music I sampled was handled brilliantly. For example, bass lines in Young The Giant’s “Mind Over Matter” are resonant without sounding boomy and keyboards and effects soar alongside frontman Sameer Gadhia’s voice, rather than overpowering it. The piano at the beginning of Sting’s “A Practical Arrangement” is warm and detailed without sounding colored and the horns are subtle yet still distinct without sounding harsh. While they don’t have the widest soundstage you’re likely to hear, especially in a closed back headphone, listening to classical works such as The Planets by Holst (particularly “Jupiter the Bringer of Jolility”) has been an absolute joy, with great separation of instruments and crescendos that swell the sonic landscape to a place that belies the size of these on-ear cans. Coming from a pair of stock Apple earbuds, the KEF M500s are a revelation – literally everything sounds brand new, from podcasts and audiobooks to any type of music I have thrown at them. I was a bit apprehensive at first about the price, but after spending a week or so listening to them, I’m convinced that they are worth every penny. For $299 retail, you’re getting impeccable styling, materials and attention to detail, all-day comfort, portability and, most importantly, clean, smooth response and a refined sound quality that rivals or even exceeds more expensive solutions.